When Ed Nathanson, this morning’s Talent Connect keynote, accepted a job to lead Talent Acquisition at Rapid7, he faced a situation similar to many small and medium businesses. The business line hiring was uncoordinated, recruiters had a “post and pray” mentality relying heavily on legacy job boards for applicants, and there was no applicant tracking system in place. However, in a white-hot industry like software security, Ed had to meet an aggressive goal of making 100 high-caliber hires per year. 1. Adopt a “talent scout” recruiting model. Ed recognized that hiring an employee is more than filling a role: it’s a sale. A BIG sale. Recruiters are not just selling a job but a new life, a new way to support their family and spend their time, and a new professional brand. To get his recruiters appropriately motivated, he first aligned them to business lines so that they lived and breathed the goals and preferences of their hiring managers. As a result, recruiters organically began pipelining even without being told to. He then developed a bonus system that incentivized recruiters like salespeople. Recruiters received bonuses based on the metrics most essential to a good hire: hiring source, employee referrals, seniority level of the requisition, and the objectives of their business line. 2. Build a REAL (i.e. scrappy) talent brand. Despite not having a strong consumer brand outside of the security industry, Ed had to compete with well-known names for technology talent. To build his talent brand, Ed took a different approach. Rather than trying to be everything to everyone he recognized that part of the role of a talent brand is to make people NOT want to work at Rapid7: to self-select for culture fit. 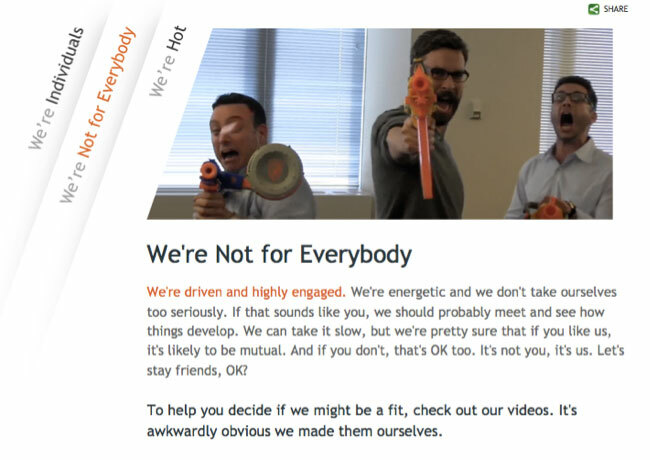 This saved the company time weeding out people who wouldn’t thrive at Rapid7. 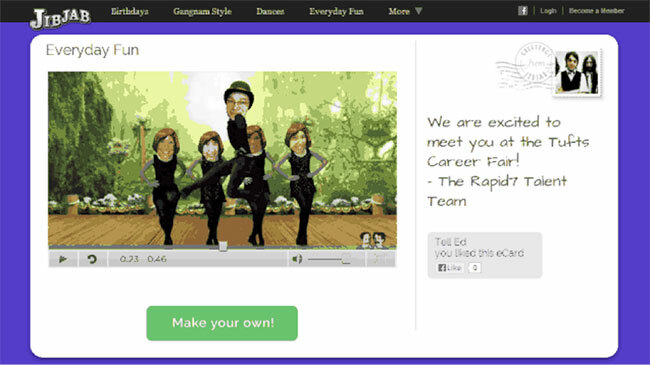 Fun homemade videos also give candidates a taste of life at Rapid7. Finally, they leveraged an often overlooked aspect of talent brand: media outreach. Partnering closely with the PR team and leveraging their spunky messaging, they secured coverage in The Boston Globe, WIRED, CNBC, and CIO.